Considered by many to be the perfect floor, carpeting can instantly give all of your favorite spaces a much-needed boost. Comforting, cozy, and ever so practical, modern carpeting has amazing functional capabilities to solve even the most pressing flooring dilemmas. At Walla Walla Carpet One Floor & Home in Walla Walla, WA, we can help you with all of your carpeting needs, whether you’re looking to install a new carpet in your living room, or your office needs a boost. Spanning all of the latest trends, our carpeting is available in all of your favorite brands, styles, and textures. We know how important it is to find carpeting that not only matches your color scheme, but is also compatible with your lifestyle. For parents and pet owners, frequent entertainers, or business owners, this is a nonnegotiable. Since carpeting can represent a significant investment, depending on your space size, we urge you to consider all of your options carefully. Are you prone to seasonal allergies? Do you live in a climate prone to moisture and humidity? Do you love entertaining, or perhaps you need sturdy flooring to fit your growing family? Understanding your functional needs is a vital first step towards knowing exactly what you’re looking for. Your carpet’s fiber, or pile, will determine your new rug’s ongoing function, as well as its texture and appearance. There are five major types of carpet fiber: level loop, patterned, textured, frieze, and plush. With more carpeting options than ever before, it’s possible to enjoy carpets in many types of settings. The choices are many. A soft, plush carpet can add comfort and warmth to your master bedroom, while a resilient synthetic would work better for a hallway, a family room, or your stairway. There are extremely resilient carpets for commercial settings, and stain-resistant carpets for homes with pets. One rule of thumb is that carpeting should be avoided in bathrooms and kitchens, due to the presence of moisture. 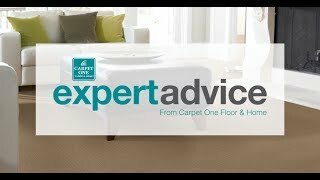 As members of Carpet One Floor & Home, the world’s largest independent flooring store cooperative, we share the buying power with over 1,000 other respective stores. This allows us to offer you a truly unique shopping experience: we carry all of your favorite brands, along with Carpet One exclusive brands that your local big box store doesn’t have. Add that to our local-friendly services and our commitment to fair pricing, and understand the Carpet One difference. Protect your new carpeting purchase with our competitive warranty packages. Your peace of mind: priceless.